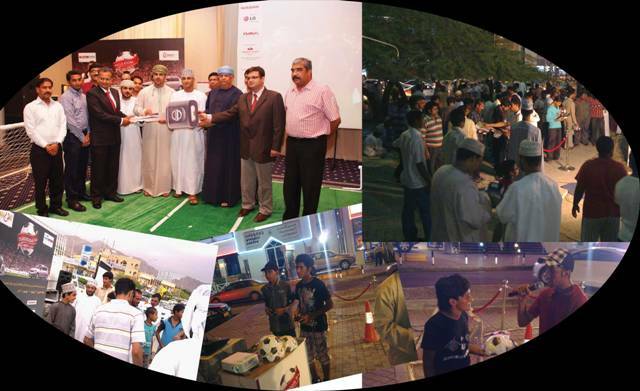 Khimji’s Mart World Cup sms campaign “Yalla Koora” was a Grand Success!. Yalla Koora – Be a winner this World Cup” was conducted in association with Times of Oman and Al Shabiba. ! The football aficionado in Oman voted their hearts-out with huge number of SMS being received in a span of 30 days. More than 100 customers including SMS contest winners watched the World Cup 2010 Final live at Crowne Plaza. One lucky winner Mr. Khalfan Amur Khalfan Abrawi from IBRI drove home the all new Nissan Tiida 1.8 L.